Ralph Waldo Emerson said, ” Beauty without expression is boring.” I think that statement can be said in regards to pretty much anything. When we stop playing it safe and our self-expression comes out, it is pretty incredible to witness. It is what makes us great at anything we do. The other day I went to the Denver Design Center for the first time. It was, in a word… okay, I’m not sure I can really describe it in a word. It was almost like being a kid, biting into a big piece of chocolate (or vanilla or whatever is your favorite) cake for the very first time. (I’m pretty sure I used this analogy as I am, at this moment, biting into a delicious chocolate mousse cake.) It is something new and exciting for someone who is just entering the world of design. But with all the (very) expensive items in the Design Center it got me thinking about how we often are willing to spend money on couches, dining sets, bedroom furniture etc but we often want the least expensive thing when it comes to our flooring and window coverings because it is such a large up front expense all at once. But the flooring and window coverings in your home can really pull together a complete look to your home and accentuate the self-expression we all strive to show in our homes. With the amount of options available these days with flooring and windows, it is absurd to not think of them as being a personal statement within your home. It may not be the first thing that someone notices in your home right now, but why shouldn’t it be? Allow your hardwood, carpet, etc. pull together a room so people take notice of how much time and energy you put into your home. 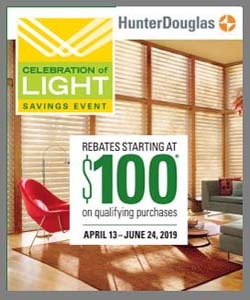 Hunter Douglas window shadings provide very unique designs in many types of fabric and colors to enhance the environment and produce amazing lighting in your home while protecting the furniture and art you purchase for those special touches. Let us assist you in exploring the possibilities in your home or office! Our showroom has a vast variety of products and our knowledgeable professionals will assist you in coordinating a beautiful look that you will enjoy for years to come. 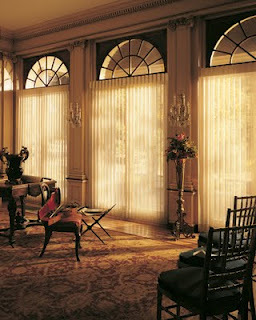 Contact us for a complimentary in home consultation today or to stop by our showroom!